Abbey Products manufactures CYL-SEAL® pipe thread sealants. CYL-SEAL® compressed gas pipe thread sealant is the leak proof sealant for high pressure threaded pipe joints. 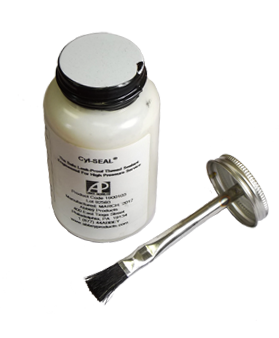 CYL-SEAL® is a thick white liquid that seals compressed gas pipe or fittings threads to prevent leaks. 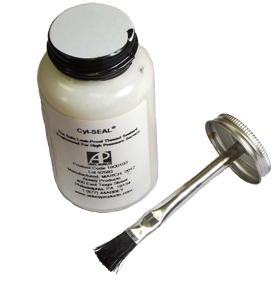 Simply brush CYL-SEAL® onto pipe threads before assembly to help prevent leaks. 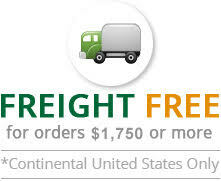 CYL-SEAL® fills thread imperfections or gaps and then cures into a tough elastic solid.